For many QSRs, payroll is a basic administrative task and nothing more. You upload employee hours into the payroll system, then the system prints paychecks every couple of weeks. That’s that. But a payroll system can do so much more for you including some things you may not even be aware of, like retaining employees and saving you money on operating costs. So, as the new year kicks off, take some time to review your business and determine what changes can be made to attract more employees and maintain a healthy bottom line. Start by asking yourself, “Are you outgrowing your in-house payroll? Are you looking for bottom line savings? Do you want a payroll vendor with more features?” If your answer was yes to any of the above questions, then it may be time to consider switching to a new vendor. Here’s why it might be time for a new payroll provider. In addition to paper checks and direct deposit, your payroll provider should offer the option for employees to receive a payroll card—a prepaid card that paychecks are automatically deposited into. Payroll cards offer a significant quality-of-life convenience for many QSR employees, and if your payroll system doesn’t offer them, consider looking for one that does. NOTE: While prepaid cards are convenient for employees, they can be high-maintenance for above-store leaders. If you are going to offer prepaid cards, ensure a system is employed to support the teams for pay card-related issues. QSR margins have always been tight, so it’s crucial to keep operating costs low. 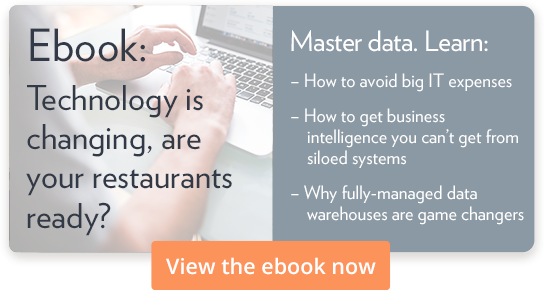 In-house payroll systems can save money for small restaurants, but as your business grows and you hire more employees, those operating costs can add up quickly. Third-party payroll providers can operate more efficiently, saving you money. Best of all, many payroll providers can integrate directly with QSR platforms, so making a switch is hassle-free. A final — and often overlooked — benefit of payroll providers is the insight they can give you. Robust payroll services like Delaget Books can support all of your restaurants and offer all sorts of labor reports — from employee hours and overtime to borrowed employees to break violations. More visibility over how your workforce is operating can save you time and money. Don’t let payroll be just another back-of-the-house necessity. Payroll services can give you the tools to maintain a happy workforce, while simultaneously giving you the data you need to make better decisions about labor.